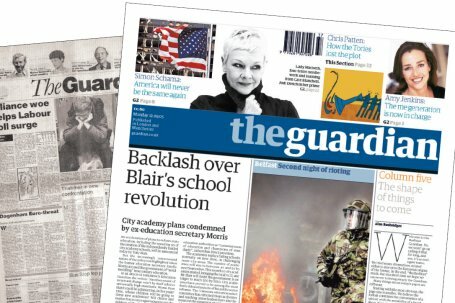 Guardian News and Media, the company behind Guardian.co.uk and various other publications and online platforms has announced plans to consolidate user information into a single, more manageable database system. The company will gather information from their various apps, dating site, subscription customers and other publicly available systems to create a single point of contact database. The new system is meant to help the company more easily manage their users while building commercial and content products and services that are tailored towards individual members and are not duplicated when those members use more than one platform from the organization such as mobile and online apps or various publications owned by the Guardian News and Media group. The move will also ensure that the Guardian can more closely comply with the ePrivacy Directive, while providing better security measures by focusing on a single database rather than various databases dispersed throughout the organization. The single database will also make it easier for Guardian users to opt-out of data saving methods company wide. When the databases have been optimized the company hopes to offer more social media offering and other options that will allow users to communicate with one another across various company platforms, allowing for a better digital media reach for the organization with more transparency for users.